WASHINGTON — The badly burned underwear bomber told authorities as he was led away on Christmas Day that there was a second bomb aboard the Northwest plane that have arrived from Amsterdam, when in fact there was not, the Associated Press reported. 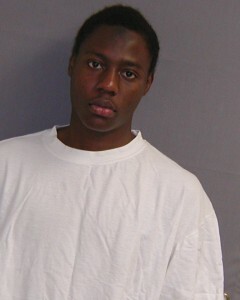 Umar Farouk Abdulmutallab made incriminating statements to Customs officials on the way to the University of Michigan Hospital in Ann Arbor, and then to the FBI during about 50 minutes of questioning at the hospital, AP reported. The FBI did not give him his Miranda Rights during that time, the AP reported. It was during that time he admitted having been trained and instructed by al Qaeda in Yemen, the AP reported. The news agency said law enforcement investigators do not have to read the Miranda Rights to a suspect if they are trying to end a pending public threat to the public. The FBI interview ended when the suspect was given medication. The handling of the suspect has become a flash point of debate. Some Congressional members have argued that he should have been treated as an enemy combatant. They say he stopped talking once he was given a public federal defender. Meanwhile, NPR reports that British and U.S. intelligence authorities have linked Abdulmutallab to two men accused of being part of terrorist plots in the United Kingdom. Posted: 1/24/10 at 11:47 PM under FBI, News Story.